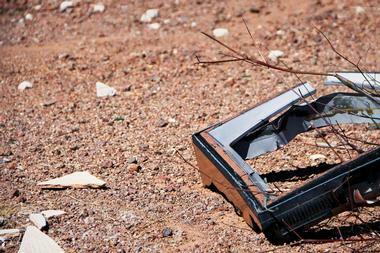 No visit to Joshua Tree, California would be complete of course without a trip to Joshua Tree National Park. The park is known for its majestic natural scenery, world-renowned rock climbing, imposing rock formations, and trails that wind their way through the Mojave desert. However, there is still many other things to do in and around Joshua Tree for visitors who are less of the outdoorsy type. Unusual museums and great eateries can be found in town as well. 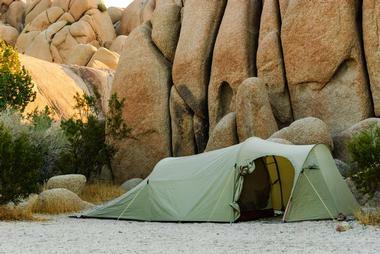 Joshua Tree National Park is one of the country’s national park in the southeastern region of California. Located in near Palm Springs to the east from Los Angeles, the park gets its name from the Joshua trees that are native to the area of the Mojave Desert. The grounds of the park were first designated as a national monument back in 1936. It was redesignated instead as a national park in the year 1994 after the passing of the California Desert Protection Act. 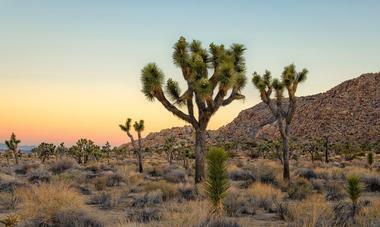 Joshua Tree National Park encompasses an area of more than 790,000 acres, a bit bigger than Rhode Island. The Outdoor Desert Art Museum of Assemblage Sculpture, located in Joshua Tree, is a 7.5-acre outdoor museum created by Noah Purifoy. The open air museum displays assemblage sculptures made by Purifoy, which were all created between the years 1989 and 2004 on site. Any visitors wanting to visit the site will need to take some dirt roads to reach it. Once there, guests are greeted by the “Blair Lane” hand-painted street sign, along with dozens of large sculptures created out of materials like blown-out tires, burnt wood, and castoff metals. Brochures are available with information about the sculptures. The building that houses the self-named World Famous Crochet Museum was originally a photo-processing booth that bought by Shari Elf, who wasn’t even thinking about her passion for crochet when she bought the place. Elf started her collection of crochet items in the beginning of the 1990’s, long before she chose to buy the roadside hut which now houses the collection. 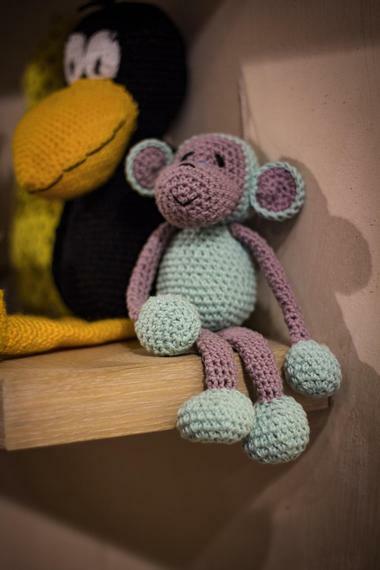 Among the eclectic crochet collection, visitors can find almost every single conceivable sort of item in crochet form. There is an assortment of animals, such as unicorns, bears, and poodles, as well as more abstract items, like somewhat unidentifiable creations and smiley faces. 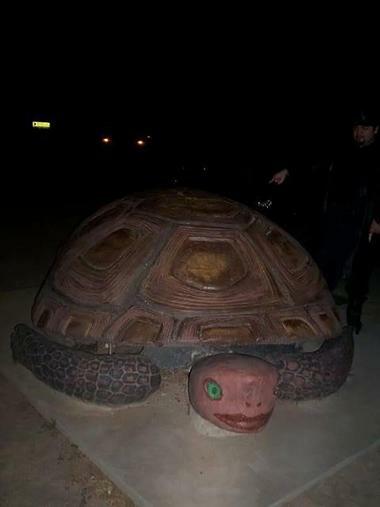 “Murtle the Turtle,” or also known famously as “Myrtle the Turtle,” is giant sculpture of a turtle situated along the side of 29 Palms Highway. The massive turtle sculpture can be found on the highway’s south side in Joshua Tree between Sunset Road and Hillside Road. It is considered to be the “world’s largest tortoise.” Murtle the Turtle began as simply a float, created from a wire and wood framework with plaster and cement, and then painted with thick enamel-type paints. The float was made back in 1957 for the town’s Turtle Days Parade. It was later transformed into a sculpture. The Panorama Loop Trail is a little of six miles in length and is a loop trail found near Yucca Valley in Joshua Tree. It boasts a moderate difficulty and features colorful wildflowers along the trail. The trail also includes several different options for activities, and is best hiked between the months of March and October. The trailhead of the Panorama Loop Trail is located at around 4,000 feet in elevation in the Black Rock Canyon section of the Joshua Tree National Park. 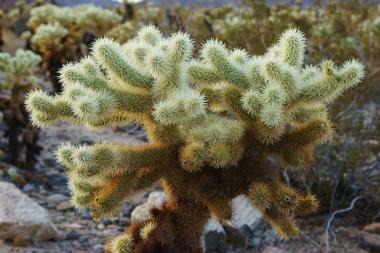 The trail provides some of the park’s most spectacular views and interesting plants. The Joshua Tree Art Gallery features some of the best in photography, sculpture, and painting anywhere within the Hi-Desert. 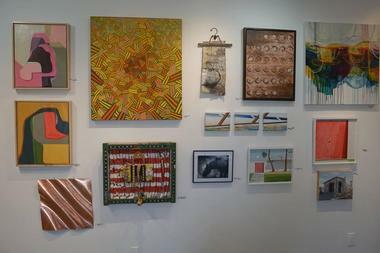 The fine art cooperative/member supported art gallery is made up of sculptors, photographers, and painters. Members of the gallery are involved in every part of the Joshua Tree Art Gallery, and member artists are the ones who staff the art gallery during the weekends. Visitors can explore the artwork in the Joshua Tree Art Gallery on Saturdays from 10:00am until 3:00pm and on Sundays from noon until 3:00pm. The gallery is closed during July and August. The Natural Sisters Cafe, located in Joshua Tree, California, first opened in 2009 with the purpose of providing the community with delicious and healthy food, baked goods, and beverages. 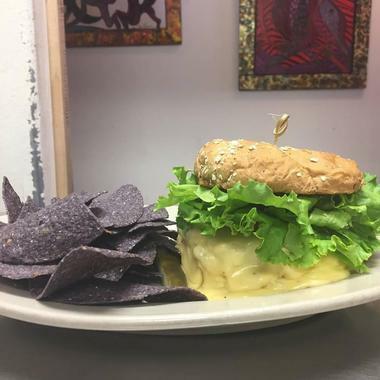 The cafe lives up to its mantra of “Food made with Kindness, Focus, and Love,” serving an array of sandwiches, daily specials, salads, and wraps that are all thoughtfully crafted. Natural Sisters also offers espresso beverages, locally roasted coffee, juices, and smoothies. The cafe’s menu features many different gluten-free, vegan, and vegetarian options, along with baked goods, such as muffins, that are baked fresh every day and made from scratch. 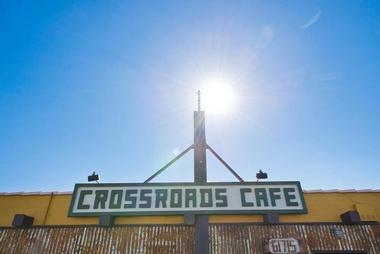 The Crossroads Cafe in the town of Joshua Tree, California appears similar to an old western saloon looking from the outside, with parking available in a dirt parking lot behind a line of stores and on the street. The inside of the Crossroads Cafe is rather small, but the owners have tried to fit as many dining tables in the small restaurant as they could. The interior features a lot of metals and wood tones, reminiscent of a place guests may see in Moab. During the weekend, there will most likely be at least a little bit of a wait. 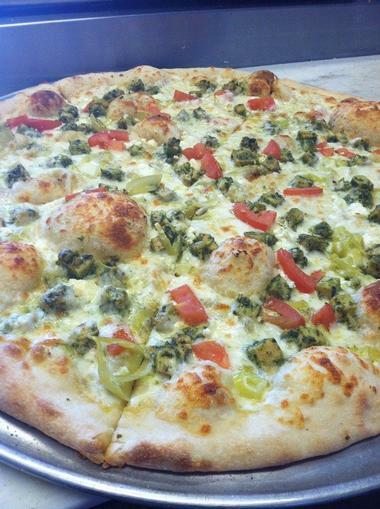 The Pie for the People pizzeria brings a bit of delicious and authentic New York style pizza to the community of Joshua Tree, California. The mobile pizza eatery combines the soul and freshness of Cascadia with the finest tradition of New York. Pie for the People has taken its pizza on the road, serving fresh pizza to goers of music festivals up and down the country’s West Coast, across valleys, mountains, coasts, and deserts. The pizzeria uses natural and fresh ingredients to provide a kind of nourishment that comes from pizza made with love from scratch. Joshua Tree Excursions is a locally-owned and managed concierge tour business that is built upon the idea that life is not about the destination, but the journey. The tour company believes that every excursion should be as personalized and unique as their customers. 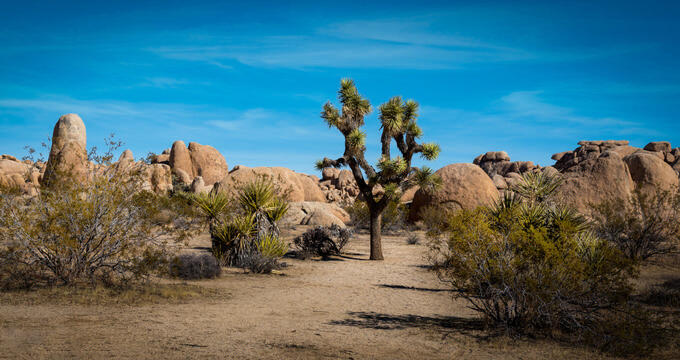 Joshua Tree Excursions offers semi-private and private personalized Hi-Desert experiences in one of the countries most majestic places, the Joshua Tree National Park, as well as the surrounding Mojave Desert. Visitors along one of the excursions can get up close to amazing rock formations, take in beautiful sunsets, and experience panoramic vistas of the desert landscape. 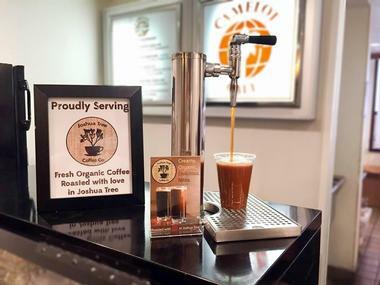 Visitors and locals alike in the Joshua Tree area can come and visit the coffee bar and roastery of the the Joshua Tree Coffee Company any day of the week. The coffee destination is open Sunday through Saturday, from seven in the morning until six in the evening. The owners of the coffee company began with just roasting about two pounds of coffee at once out of their kitchen at home for around one and a half years. They are now using a Loring Smart Roaster to roast meticulously crafted coffee for several retailers and cafe throughout the world. 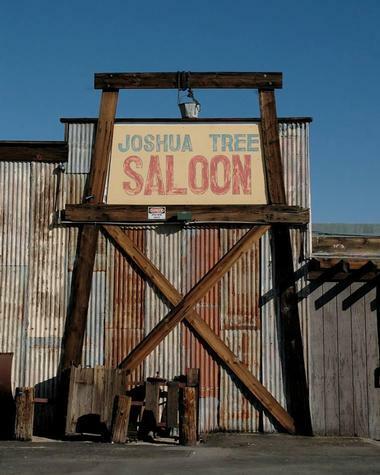 The Joshua Tree Saloon is a family-owned and operated restaurant that has been around since the year 1983, serving as one of the community’s local watering holes for more than thirty years. The saloon serves what are known as some of the finest burgers in Joshua Tree and some of the beer available in town. Joshua Tree Saloon is situated near the Gateway to the National Park and boasts quite a unique western atmosphere. Customers can grab a pint of one of fourteen different beers on tap, drink some hot Irish Coffee, or enjoy a refreshing mojito.= and more.